Australians are known the world over for their quirky senses of humour and I can’t imagine any other country except Australia celebrating their national holiday, held to honour their land, with dunny races. The celebration of the old Australian outdoor toilet is held each year on Australia Day, at the wonderfully crooked structure that is the Ettamogah Pub. Other events held in previous years have included keg lifting and mullet tossing, but political correctness appears to have crept into the fun and in 2014 these events have been replaced by a tug of war and vintage car expo. The Ettamogah Pub is based on the cartoon creation of Ken Maynard which was regularly published in the now defunct Australasian Post. The Ettamogah Pub is located at Aussie World, a theme park featuring more than 30 rides and games in the Sunshine Coast suburb of Palmview. Queensland’s Sunshine Coast has plenty to offer and entice visitors this summer. With both Sunshine Coast Airport and Brisbane Airport providing easy access to coastal and Hinterland attractions, the region is an ideal holiday destination for short or long stays. Although famous for having some of Australia’s finest beaches, that’s just the start of what’s available. 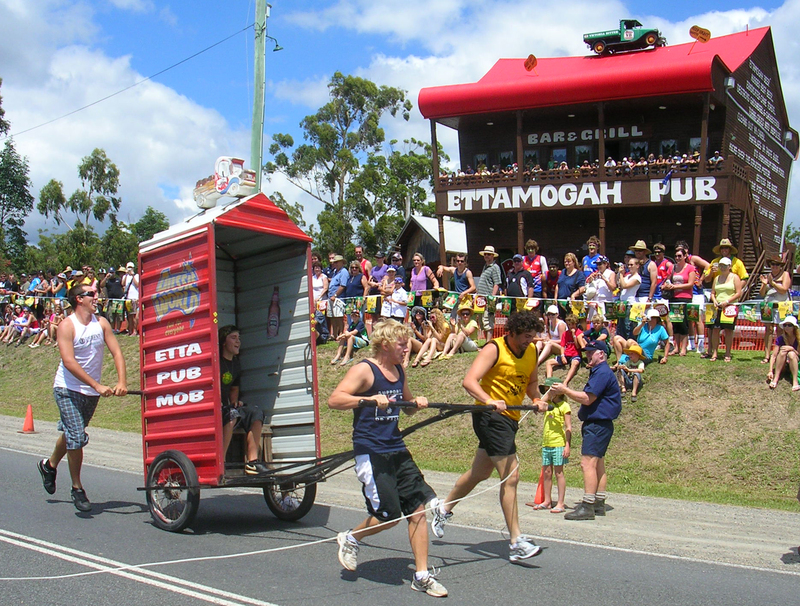 If festivals are what you enjoy, visitors can experience an eclectic mix of memorable holiday fun, less than 30 minutes drive from the coast, including the legendary Woodford Folk Festival running from 27 December to 1 January, the Ginger Flower & Food Festival from 17-19 January and on 26 January, the famous Australia Day Dunny Races at Ettamogah Pub. The Woodford Folk Festival offers a range of ticket options so that holidaymakers can combine earthy folk with a traditional beach holiday. This year’s Festival features over 500 acts spread across 28 venues and six days. Highlights from the musical portion of the bill include Beth Orton, Tim Finn, Clare Bowditch, and Julian Marley. In addition, the GREENhouse venue will host environmental workshops, information sessions and debates, while The Parlour and the Bazaar will feature theatrical presentations including Hot Brown Honey Burlesque, sideshow stunt performers The Dirty Brothers, one-man murder mystery Birdmann, and Woodford’s annual game show the Festival of Fortune. 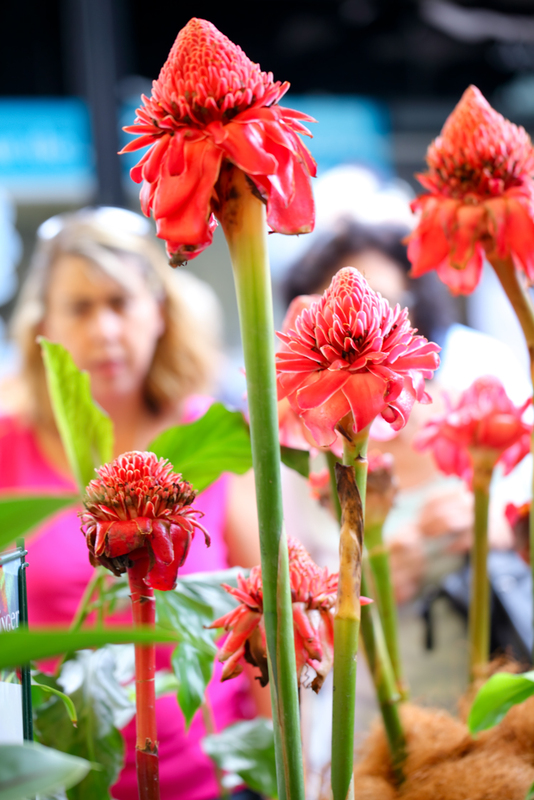 The Ginger Flower & Food Festival in January highlights one of the world’s most versatile plants. Ginger or ginger root is consumed as a delicacy, medicine or spice and the Sunshine Coast’s Ginger Factory located at Yandina, will be showcasing the plant’s remarkable role as both an essential ingredient to food and as a beautiful flower. There will be specialist workshops, demonstrations and tastings. Children will enjoy it as much as their parents, with rides and entertainment plus a tasty array of ginger-infused smoothies, cordials and gingerbread men. Just a short walk from the Ginger Factory is Nutworks & the Chocolate Factory that holds hands-on chocolate workshops throughout the holidays. The Spirit House, also at Yandina, set in lush tropical gardens nestled around a tranquil pond, bubbling waterfalls and the sounds of nature, offers hands-on cooking classes and award winning contemporary Asian food throughout the summer break. This entry was posted on Thursday, November 21st, 2013 at 8:26 am and is filed under Uncategorized. You can follow any responses to this entry through the RSS 2.0 feed. You can leave a response, or trackback from your own site.